You've waited, and now it's here. 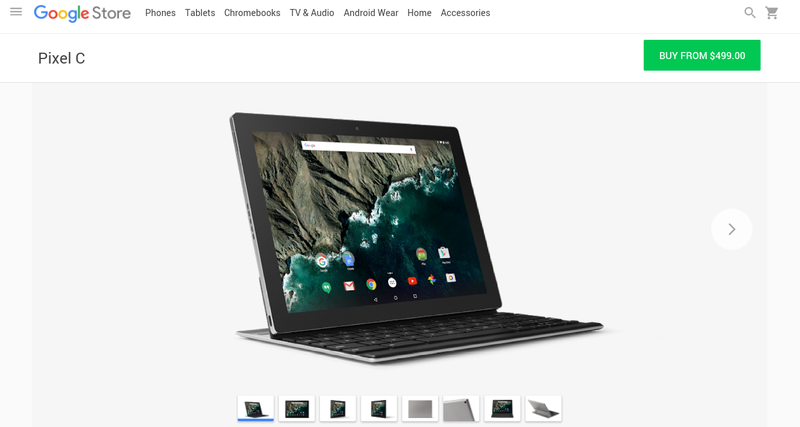 The Pixel C has found its way into the Google Store. There it's available for the starting price of $499.99 for the 32GB model or $599.99 for 64GB. This is the cheapest Pixel device Google has ever released, but it's not a laptop. It's a tablet, and instead of Chrome OS, it runs Android. But the hardware design will still look familiar to anyone who has followed Google's previous in-house efforts. The slate is made of aluminum, and the 10.2 screen packs 308 pixels into every inch. 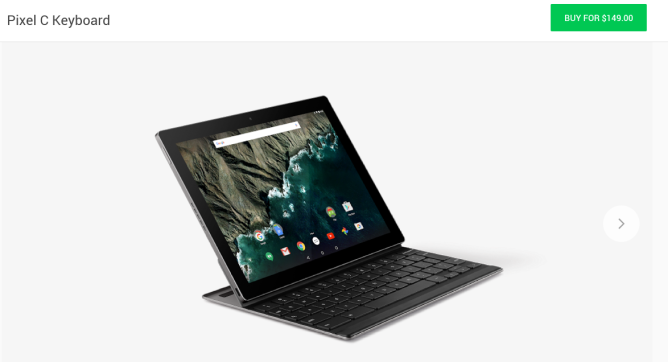 To give the Pixel C that laptop feel, you need a keyboard. The magnetic keyboard Google showed off in the announcement is now shipping with a $149.99 price tag. The extension draws power from the tablet, so you shouldn't have to charge it directly. A folio keyboard similar to what we saw launch alongside the Nexus 9 is available for $149.99 as well. So to get a screen with a keyboard, you're looking at spending $650 - $750. The Pixel C moves the navigation buttons around, placing the Back and Home buttons on the left and Recents on the right. These changes aside, you're still looking at running Android on a 10-inch screen. Google hasn't done much to improve that experience, so keep that in mind as you hover your mouse over the buy button. Australia, Austria, Belgium, Canada, France, Germany, Hong Kong, Ireland, Netherlands, New Zealand, Spain, Switzerland, United Kingdom, and the US.